I have never been to New York, so I haven’t seen the fleet of yellow cabs that driver around the city like ants on an ant heap. That’s pity, because these cabs are going to look different soon. Every day 600,000 people take a cab in New York. That’s why the place is swarmed with yellow Ford Crown Vics. Lots of boot space, comfortable – and massive – leather seats, soft suspension and a smooth ride all together. And a big, growling V8. You’d expect that to have been the noose around its neck. All that is sure is that the model is discontinued after having been produced since 1955 and through a whole bunch of generations. And so the City of New York had to go find a new supplier of taxi cars. That it was going to be a small van-type car was clear when the three finalists of the bid were announced. These were the Turkish Karsan V-1, the Ford Transit Connect and the Nissan NV200. The Nissan was announced to be the winner in May 2011. This isn’t news then. 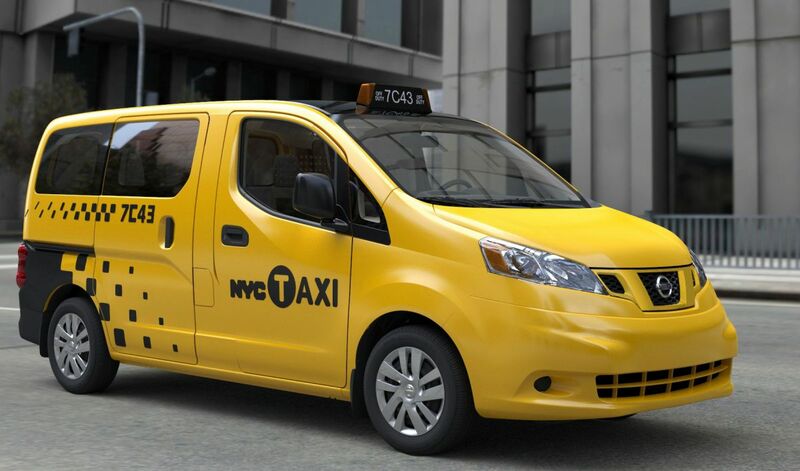 What is new is that Nissan is to present the NV200 taxi cab version during the New York International Auto Show that kicks off today – where else? Current motorisation of the new taxi is a 2-litre petrol engine. In the future a fully electric one will follow. 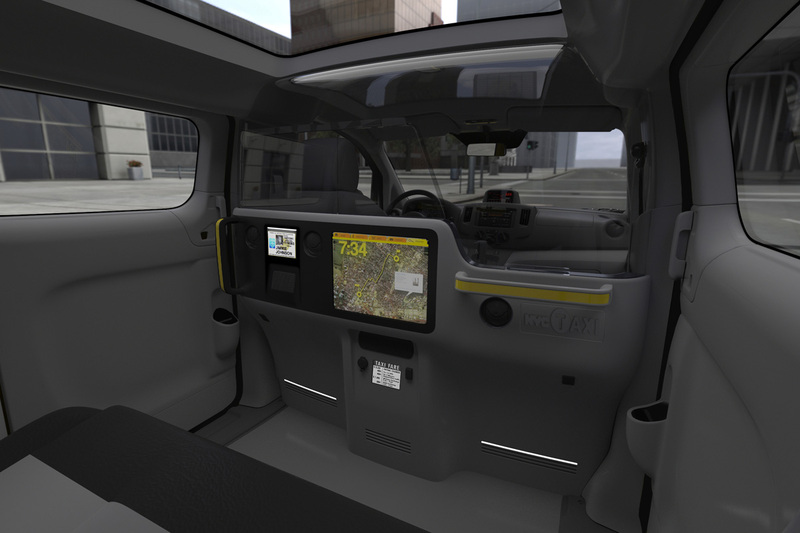 The NV200 will feature everything you get in a Black Cab (except perhaps the noise), so: flat floor, reading light and an intercom system so you can talk to the driver. On top of that, Nissan have also already announced a bunch of nifty features, including a panoramic sunroof to gasp at the skyscrapers through, the ability to charge your electronics using a 12 Volt socket and two USB-ports for… you tell me??? Anyway, I guess it’s clear you don’t need to wonder why Manganese Bronze, a.k.a. The Black Cab Company, didn’t bother to submit a bid. 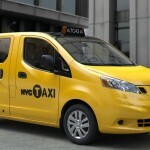 This entry was posted in News and Views and tagged black cab, car, ford, Ford Crown Vics, Ford Transit Connect, LS, Manganese Bronze, MoT, New York, nissan, seat, USB, yellow cabs by The Flying Dutchman. Bookmark the permalink.